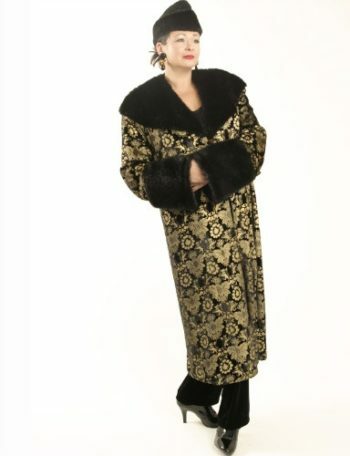 Plus Size Special Occasion Coat Silk Velvet Gold Stamped Black: The original "Russian Coat" in black and gold, this dramatic coat is created just for you in our Workshop. 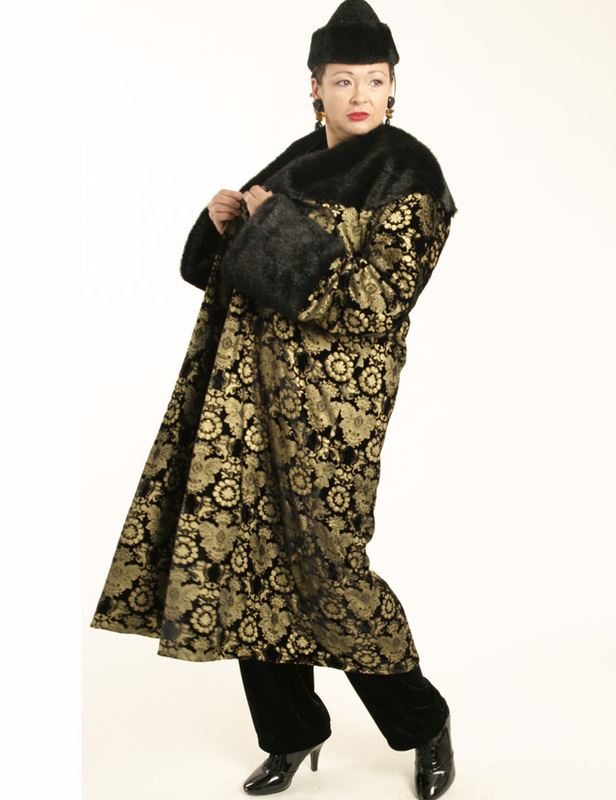 Fully lined, and trimmed with faux sealskin, it's a luxury and a pleasure to wear. Pants Black Silk Crepe and Shell Black Silk Crepe Made to your measurements, to Couture Standards, in 4 weeks or less. Consult with us for personal assistance. 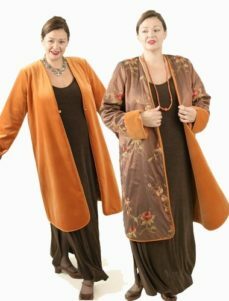 Be the first to review “Plus Size Special Occasion Coat Silk Velvet Gold Stamped Black” Click here to cancel reply.